*The independent media site Unicorn Riot has been posting screenshots of chats among white supremacists before their Unite the Right rally that show them discussing the type of deadly violence that ultimately took the life of Heather Heyer. Per DailyKos.com, screenshots of preparation chats on Discord (which has since banned the users) shows them specifically asking about the legality of mowing down counter-protesters with cars. User Tyrone adds, “I know NC law is on the books that driving over protestors blocking roadways isn’t an offense,” which is a reference to the North Carolina bill passed by its House of Representatives earlier this year, according to Daily Kos. Despite what conservatives may say, the presence of counter-protestors didn’t force neo-Nazi James Alex Fields, Jr. to murder Heather Heyer. 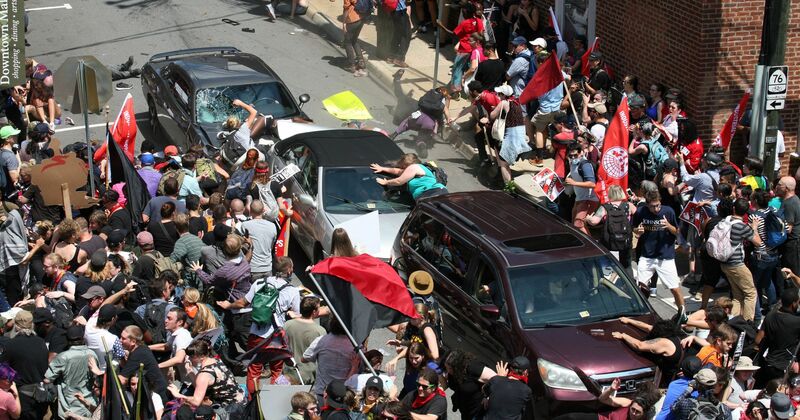 They were talking about running people over before they even stepped foot in Charlottesville.